Looking for a great potato side dish but tired of mashed or baked? 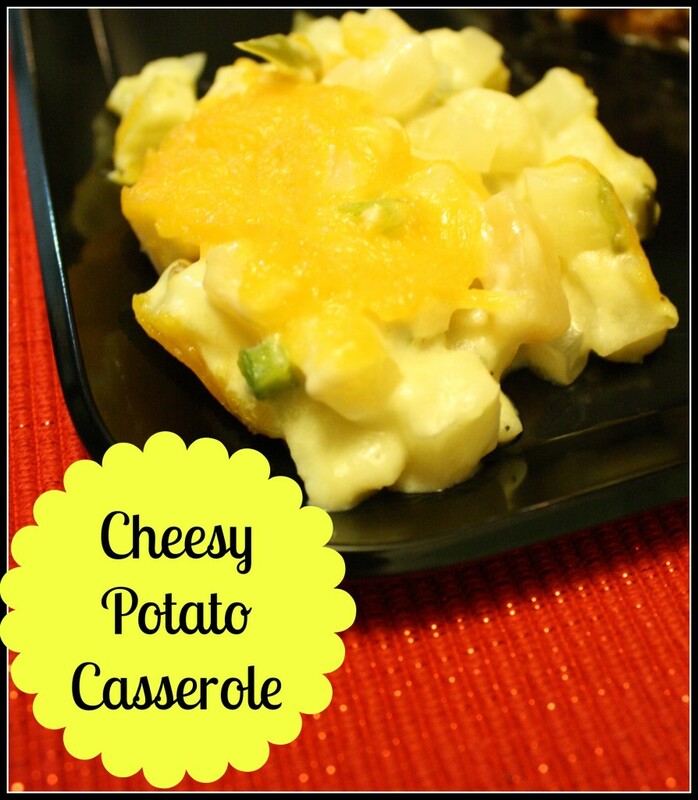 This cheesy potato casserole is a great alternative, easy to fix, and works great with a lot of meals. 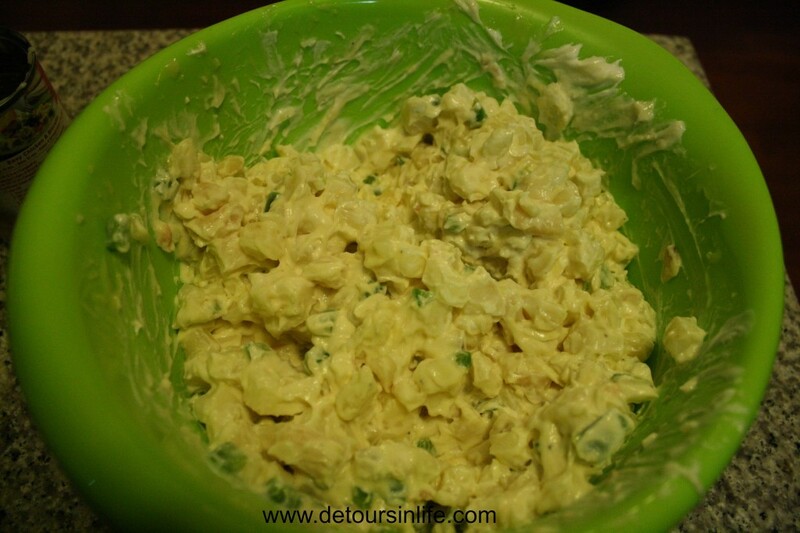 We especially make this a lot in the summer to go along with cook outs. Cheesy potato casserole also will work well if you move it in to a crock pot to keep it warm and take it to a pot luck! 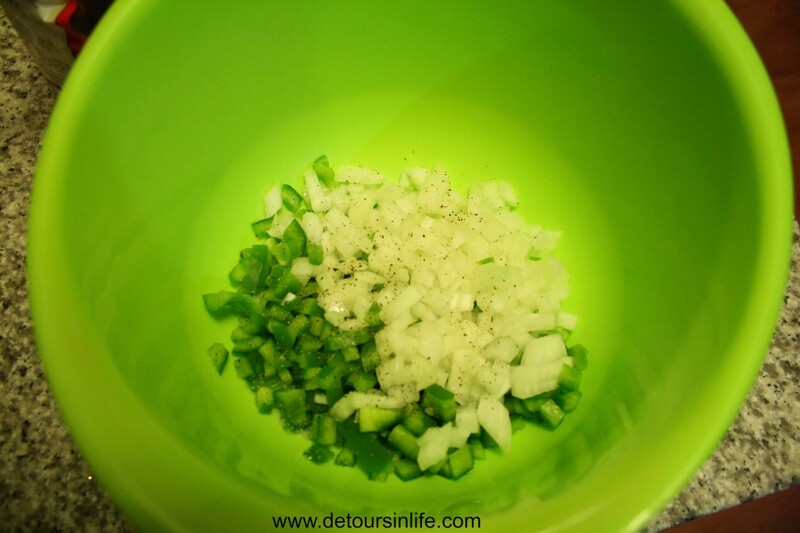 First, cut up the onion and green bell pepper. If you can find hash browns that have the onions and peppers already mixed in, those will work great and will eliminate this first step. Mix all the ingredients except for the cheese in a large mixing bowl. I normally use the little square hash browns (southern style) in this recipe. The recipe also calls for the hash browns to be thawed, but I have been in a rush before and put them in frozen without any problems. You can also substitute cream of chicken in the place of cream of celery if you don’t have it available. I normally use cream of chicken instead since I tend to have on it hand in the pantry. Place the mixture in to a 9 x 13 casserole dish. Place in the oven at 325˚ for 1 hour and 15 minutes. 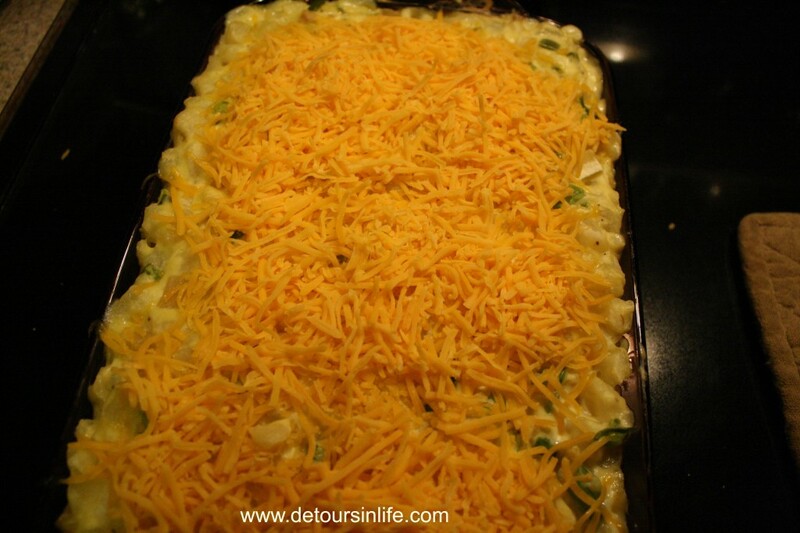 The last 15 minutes, remove the casserole and sprinkle with cheddar cheese and return to the oven. 1. Combine all ingredients except for the cheese. Mix well. 2. Pour in to a 9 x 13 casserole dish. 3. Bake at 325˚ for 1 hour and 15 minutes. 4. Sprinkle with shredded cheddar cheese for the last 15 minutes of baking. 5. After you remove from the oven, let sit for 5 minutes before serving. I’m betting that my family would really love this casserole. Looks delicious! It’s been a long time since I’ve had a cheese potato casserole! Maybe its about due time for me to create one for the family! 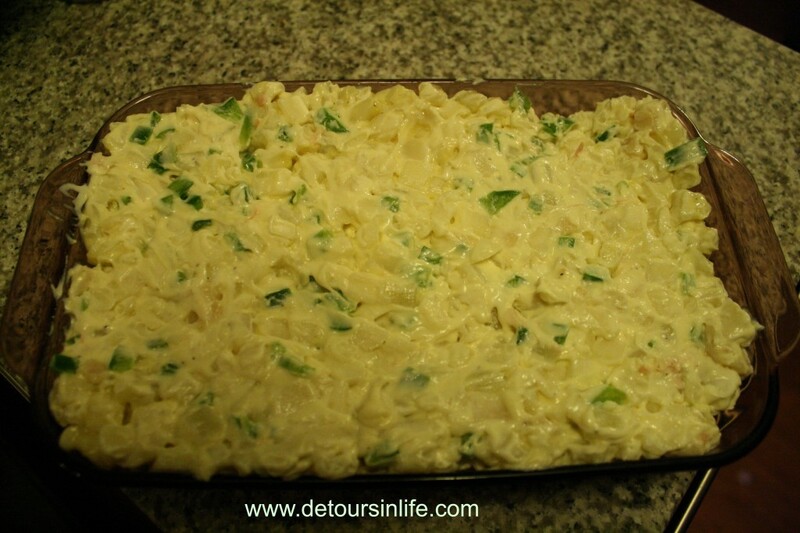 My mom makes one that is really similar but without the green peppers and onions. I think she just puts the frozen potatoes in a dish and then heats up the stuff in the sauce (which happen to be very similar ingredients) and then pours it on top of the potatoes. She also uses American cheese instead of cheddar. I personally love the idea of adding the onions and green peppers, so I may have to merge the two versions:) Thanks for linking up to the Bloggers Brags Pinterest Party. I have pinned your post to the Bloggers Brags Pinterest Board.